Find here the bulletin for YOTA December month 2016. It includes important information for all YOTA stations about logging, QSL service and more. Congratulations for the event that stimulates the young people in Amateur Radio, I need information, so far I have not made any contact, I will start now, but I can not know where on the website of you the information to be able to have the diplomas of the event, last year I got All but now I do not know where they are and the contacts needed to get them. Thanks for the help, I have no command of the language. Awards will be distributed as soon as the designs are ready. 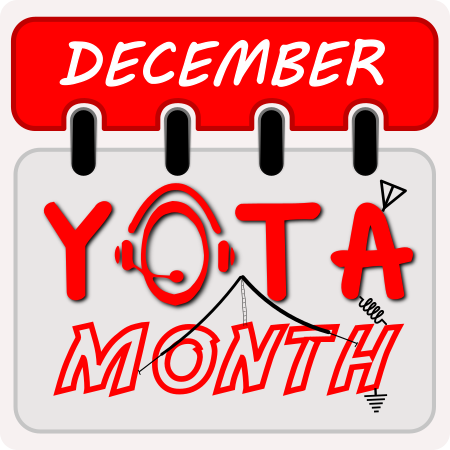 More information can be found on the dedicated December YOTA Month page.